The New Moon in Capricorn on January 9, 2016 is fecund with the dark matter of Saturn. Capricorn is an inwardly directed sign of initiating in the multitudinous manifestations of the earth element, the home of Saturn and its significations of structure, boundaries, determination, and transcendence. This particular Capricorn New Moon draws us into internal depths with greater magnetism than normal, as the New Moon is conjunct Pluto in Capricorn at the same time Mercury retrograde is conjunct Pallas Athene in Capricorn. We have the opportunity to sift through the desires behind our ambitions at this time, discerning where our motivations are coming from. Are we attempting to control a situation or manipulate a circumstance in order to avoid taking responsibility for our own internal issues? Or are we securely being accountable for our genuine feelings and past behavior that has led to our current moment- if so we can seize the darkness of this New Moon in order to clear out what is no longer serving us and envision empowering goals that lead toward a natural sense of power. Saturn in Sagittarius, lord of this New Moon, is watching Venus separate by a degree at the time of the lunation. As Venus is separating from Saturn, she is simultaneously applying to a trine with Uranus in Aries. Uranus is further hooked into the New Moon by being in range of a square to both the New Moon and Pluto in Capricorn. The past week of the waning Moon held numerous intense, confrontational astrological aspects that could have led to harsh judgment from others as well as self criticism. By owning our part in the drama, and detaching from projected diatribes we are not responsible for, there is a fiery force found here that can liberate us out of past patterns of victimization. In the shifting commerce of our collective, as old economic paradigms are falling apart, this New Moon activates awareness of how to find our place within the new business, political, and other societal models arising. Though Saturn has begun to separate from its last quarter square to Neptune in Pisces (to return again months from now), this is our first New Moon since their square in which one of them is running the show. Since Saturn at center stage has been in the middle of great intensity, the Saturnine side of the square associated with boundaries, limits, structures, separation, and release is emphasized over the boundlessness of Neptune. In combination with the fact that this New Moon is also activating the first quarter square between Pluto in Capricorn and Uranus in Aries, we could feel overwhelmed with conceptions around change, from worry that we will not be able to manifest the unknown future of our desires, to fear that circumstances are changing in undesirable ways that feel out of control. As Saturn in Sagittarius is visionary, it is imperative to focus on what we want and formulate plans with awareness that determined effort is now required. With Venus and Saturn in the domicile of Jupiter, and Jupiter closely conjoining the North Node of the Moon and in trine to the New Moon, despite difficulties there is underlying support for working hard with trust in the twists of fate to come. In spite of warnings from many astrologers not to initiate things during Mercury retrograde, this Capricorn New Moon contains an opening to an expansive new direction fraught with challenges requiring focused resilience. Again, since the New Moon is separating from a square to Uranus in Aries and applying to a trine with Jupiter and the North Node of the Moon in Virgo, the signs point toward breakthrough events, encounters, and corresponding insights that open us to new possibilities. In addition, there is a stabilizing sextile present between the New Moon and Chiron in Pisces. There is no doubt a looming mountain on our horizon to climb, yet the force we must generate to surmount forthcoming barriers will elevate our entire being to heightened ability to accomplish the tasks at hand. Stirring things up further is Eris, as the dwarf planet named for the goddess of discord stations direct on January 10, 2016 at 22º18′ Aries, in range of a square to the Capricorn New Moon. Eris is new to astrology and her meaning has not yet been fully established, so as she stations in square to this New Moon we can notice any correlations in our lives that seem connected. Up until now, most astrologers are applying the meaning of Eris in myth to her significance in astrology, with some such as Henry Seltzer adding in meaning of shattering paradigms and standing up for oneself with radical, harsh assertiveness. Eris has been retrograde since July 20, 2015 when she stationed retrograde at 23º24′ Aries. This is significant because the astrological atmosphere at the end of July was full of strife, with both Venus and Uranus also stationing retrograde then. Eris stationing now will push us to stand up for ourselves and express our needs free of the past restrictions we have been discarding over the past five months. Furthermore, with Mars at home in Scorpio there is amplified encouragement for expressing the full force of our desires, leading to potential conflict. Mars is coming into a trine with Neptune in Pisces at the time of the New Moon, bringing an idealistic crusader element to the mix. As Mars is also applying to a conjunction with Juno, this could enflame passions for better or worse in relationship. The astrological aspects at this New Moon do not have much in the way of conflict mediation, so it will be vital to actively bear in mind the likelihood of discord breaking out. The positive side of all of this can lead to an activation of our will force to be tenacious in pursuit of what we and our greater community need not only for survival but for enhancement of life. This Capricorn New Moon plays up the visioning side of Capricorn through Mercury being retrograde in Capricorn, in conjunction with Pallas Athene in Capricorn. This upcoming lunar cycle takes us through the Mercury retrograde, as the forthcoming Full Moon in Leo will occur shortly before Mercury stations direct. When we apply the old imagery of a sea goat to standard significations of Capricorn being associated with cardinal initiation, matters of earth, and Saturn, the image of a goat that has a mermaid tail dipped in the water goes well with the internal, divining quality also found in Capricorn. The New Moon supports getting down at the root level of our surrounding structures, discerning the patterns at work in the various systems operating in our life. Since Mercury is retrograde there may be omens found in unexpected places, and so an open mind willing to take creative leaps of thought can better receive messages associated with where to focus, what to modify, and which path to take forward. There is also a connection between Mercury retrograde, this Capricorn New Moon, and Black Moon Lilith. Astrologers enamored with Black Moon Lilith have been consumed by the mean calculation of Black Moon Lilith being in the middle of a square to Pluto in Capricorn and an opposition to Uranus in Aries. However, this New Moon also carries a significant location of the true calculation of Black Moon Lilith to mind- the true Black Moon Lilith is conjunct Jupiter and the North Node of the Moon in Virgo, and in trine to Mercury retrograde in Capricorn. Simultaneously, the aspects made by these two locations of Black Moon Lilith suggest parts of ourselves with a history of feeling judged and ostracized have an opportunity to come out of exile and into the full scope of our personality. This may feel awkward and even painful, and these exiled parts could be so deeply embedded within our soul that it feels as if they haven’t come out for lifetimes. Mercury retrograde in Capricorn can help us peel off the layers of conditioning that have made us feel judged, with self acceptance being the balm. The second face of Capricorn where the New Moon emerges is ruled by Mars and associated with the 3 of Pentacles card illustrated above by Pamela Colman Smith. In the image of the 3 of Pentacles we see a highly skilled sculptor in process of creating a divinely inspired masterwork in a monastery. There is a consultation taking place between the artisan and authorities associated with the institution, with carefully drawn plans for the masterpiece on display. This is a fitting image for the Capricorn II decan as it is a face in which great works can be created through collaboration, careful planning, and incredible effort. Not only is Mars the ruler of this face, but the New Moon in Capricorn is also occurring in the exaltation of Mars. Mars at the time of the New Moon is further strengthened by being at home in Scorpio and so in possession of its full arsenal. As previously mentioned, now that Mars has separated from its square with Mercury stationing retrograde earlier this past week, Mars is now applying to a trine with Neptune in Pisces and a conjunction with Juno. With the forthcoming waxing lunar cycle occurring with Mercury retrograde, this New Moon period is opportune for embarking on long term projects that will require sustaining effort and overcoming obstacles over an extended period of time, rather than work that needs to be rushed to completion. The trine between the New Moon in Capricorn with Jupiter and the North Node of the Moon in Virgo suggests a door is opening to reveal a work objective worthy of our sustained effort and commitment. Remarkable Gray! Made me proud of my moon in Cap!!! Thank you Judie, it is always nice to hear from you. Hi Gray,thought provoking and instructive, as usual. And as usual, so bowled over by the art….What an amazing, haunting, powerful painting – or maybe more like lithograph – of the goat by Ciurlonis. I could gaze at it forever. Capricorn is to me what tarot readers says about key cards….I puzzle and puzzle to fully grasp its complexity….I do not have an instinctive relationship to understanding Capricorn…And same is true for Pamela’s 3 of Pentancles: it is one of those cards I have worked and worked on understanding…I think I’ve got it, and it slips away, and I start all over again. So I’ve been looking closely at Dali’s images in his deck (thank you Kelsey) (decks can be purchased for a very modest amount http://shop.thedali.org/dali-universal-tarot-cards.html) and there is something about his wispy,yet visceral, fluid figures that make me think of the goat with the fish’s tail energy. It is SO weird when you can look at image you’ve looked at a thousand times, and suddenly feel like you’ve never seen it properly before…..so what I noticed (and surely this is partly a function of gazing at the Ciurlonis image…art opens your eyes) is the flashlight….first of all, such a modern source of light for a medieval task: and its size: it’s huge. Second, the absorbed look on the non-sculpting man’s face is unusual amongst all of pamela’s faces….it is extremely precise in expression: it beautifully suggests imbibing (a wonderful word used by Indian homeopaths). But most of all….look at that woman. She is like the feminization of the fish or mermaid tail for the goat….startling, out of place. She actually takes pride of place in the image. And she is NOT what you see is what you get. She is definitely not a nun….yet her robe suggests a nun’s habit….it is as if she is so private, so reticent, so unseen, and yet SHE holds the drawing, the map, AND her robe is intense….like the flashlight, it takes up an improbable amount of space, by colour and volume….and her ankle….no feet are visible….the ankle is the same colour as the feet of the bench the sculptor stands on…also her robe is illuminated from behind and the same shade of pinky pale red. Compared to her companion’s expression, we feel she is stern (but we KNOW this is projection!). Between them, his one foot and her one ankle suggests unity of opposites. If we could see her foot would it be like one of Dali’s flowing, nebulous objects? would it be the goat’s fish tail? Of all the glyphs, Capricorn seems bound to its elemental polarity in a way none of the others are. 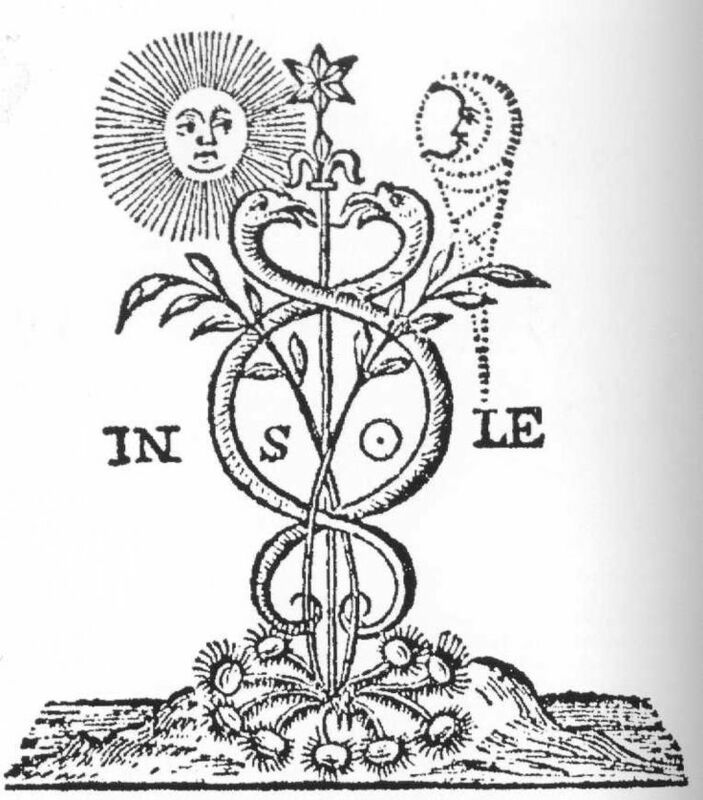 (which could take me to a whole other topic…which is that it has lately interested me that in Chinese Alchemy, air and fire are the one element, not a polarity at all)…. I have a 5th House Capricorn (Sun’s in 10), and 11th House Cancer (Moon’s in Aquarius). The planetary bodies which show up in those two signs on my natal chart are Kassandra (thank you Kelsey) (at 6 in Cap) in opp to Persephone exactly conj to the second Pallas Athena (7 in Cancer). The other bodies in those two signs in my natal chart are Asteria (the mother of Hekate, at 1 degree….so then it is interesting that Hekate is on the cusp of Cancer and Leo at 0 degrees: LOTS of disjunct (and fluttering) energy between the light mother and the dark mother, altho my Hekate is 28 seconds conj Apollo). Orcus conj Aesculpia (not a typo..she is not Asclepius) in Cancer, and Juno in Cancer, near Selene (2 degrees: I use a one degree orb for asteroids) not in opposition to, but close (3 degrees) a retrograde Medusa in Capricorn. 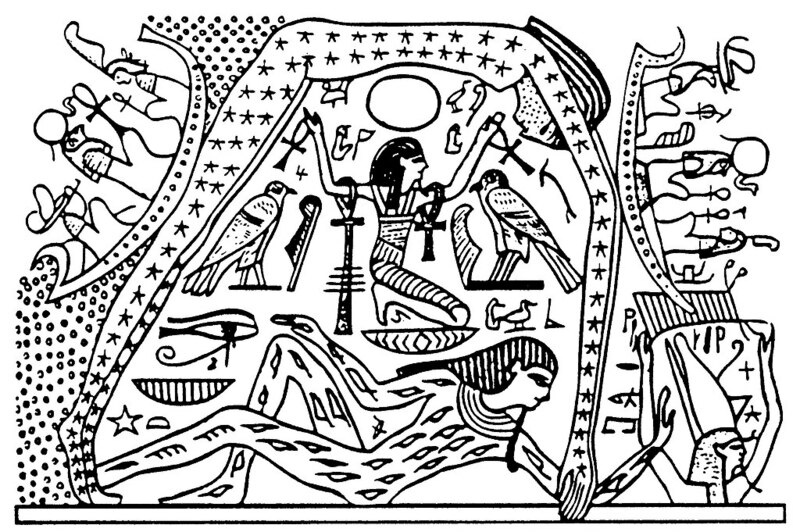 Somehow all of this seems related to the woman in the 3 of Coins image, and to the goat with a fish/mermaid tail. And to the Saturn Neptune square, etc. doing what you say it’s doing. So pretty cool times for me….not a bad way to begin moving into that Saturn in Sag return of mine. Cheers from VERY sunny Australia! off to water my garden…ha ha..Capricorn right there! Thank you Genevieve for such an in depth comment! You know, I always thought I did understand the Three of Pentacles card, then was enjoying the opening of further understanding by linking it to the Capricorn II decan. I actually had noticed the figure you are referring, in fact to me the figure looks quite androgynous but I do think my initial impression was it is a woman- in any case the outfit is wild and the imagery is fascinating. I love how you brought in the fact you cannot see the feet- I had not noticed that. I am going to have to think more about everything you listed here- but I at least get what you mean I feel by the combination of Hekate, Persephone, Kassandra, Pallas Athene, Asteria. Juno opposite Medusa is very interesting to ponder. Yes I recently discovered Ciurlionis- he is incredible and did an entire zodiac series. Also a composer. I am glad you appreciate the art as I do spend time selecting it to fit. I was lucky and the Metropolitan Museum of Art posted a link to the Joan of Art painting a week or so before the New Moon so when I saw it I knew I wanted to use it- I really like that one too, and supposedly Joan of Arc was a Capricorn in the Capricorn II decan. aha…I have just come across a reference to Joan of Arc while indulging in one of my favorite past times: looking things up in my Shipley etymological dictionary. there is at the moment in my life a dovetailing of an old hip injury which needs fixing (bones are Saturn), which now that I could be bothered to seek a remedy for it, is benefiting from a remedy which has indignation as a central cause, and a family drama playing out between my earth sign sister-in-law and earth sign step-sister. Consensus maintaining dogma vs burning the heretic at the stake. Was walking through the cemetery on Tuesday and via my son was introduced to Hypatia (someone buried there had that name). wow. looked her up in my chart, and needless to say there she is relating to those other asteroids in aforementioned collection: quincunx to Persephone/Athena, who are in 11 Cancer AND quincunx to Metis (Athena’s mother), who is conj (1 degree) Rhea. In that everything is a hologram of everything else, and there are only synchronicities (coincidence is never random), this says more about that 3 of Pentacles, I feel. I’m so carried away with all these little mini revelations…which have to do with the roll I’m on as I get closer to going to a seminar in NZ with my favorite homeopath who’s super into breaking out of the paradigms which separate logos from mythos…can’t remember if this has ANYTHING to do with the actual content of your post…never mind. Back to indignation: it’s usually self-righteous…and all about who is following which map …whose work is “good enough”, who is following the script, and who is heretically getting creative and choosing for themself: breaking out of the mold. I feel devastated about that Hypatia: these are the forces the woman in the foreground with the fantastic robe is up against….no wonder she has her face averted!….she represents ALL the esoteric stuff that had to be hidden in tarot to survive. For quite some time now we (my partner and I) have lost most of the fundamentals of our lives, my partner is trying to recover from a recent surgery, and both are bedridden now also because of a horrible flue, which makes that I cannot think or feel clear. January 9th should have been a sort of moment supreme, where the doors to my Tercera Edad (Third Age, a spanish expression used here in Mexico) were being opened with the sound of trumpets. Nothing of that kind at all. I always enjoy your writings, but tonight I wonder if you can also suffer from an Universal overdoses of energies that make you want to hide under the blankets till the storm has settled down. Yes this sounds like an appropriate response for difficult times. Sounds like you have a lot of intense transits occurring along with these difficulties. It is true I tend to try to find at least a somewhat positive angle to take toward the general transits, but these New Moon posts I write are very general and so things would shift applying it to an individual chart. I have actually been thinking about discontinuing writing these for that reason, but so far each time I think that I keep going writing them. I hope things can improve for you. That is quite incredible you are simultaneously having a Jupiter and Saturn return. Nice to hear from you again. I agree about pain being something that has come up. About David Bowie, at first I was thinking of writing an article but I think it is too much for me to take on at this point as he is so complex and it would take up more time than I have to put something fitting together. His chart is very fascinating though- for such a huge star he has a big 12th house with Sun and Mars conjoining in Capricorn, Mercury also in Capricorn. Yet though he has such a powerful 12th house, his Venus in Sagittarius is on his Midheaven, and his Leo Moon is exactly on his descendant in his 7th House. So with all of that 12th house you can see other parts of his chart having more of the traditional star power and seeking the limelight. His Leo Saturn is also conjunct his Leo Moon, and these are both not too far from his Leo Pluto- so also a hugely potent 7th house which goes well with his strong focus on collaboration in art. I think I may end up using him as an example from time to time, but at the moment am not planning to write something astrology related and at least need to give it some time. However, you never know and I may end up writing about him yet on here. Well, once again–this piece is just remarkably well done. Gray I have been ‘over the top’ or should I say moon (lol)–about discovering your original, and substantial gifts. You know I have worked with some of the best, over the past thirty years myself– and just wanted to put this out publicly. Keep up the great work, you have so much to offer. Also, utterly right on with my personal experience of this time period. Thank you so much for expressing your appreciation. It’s good to know it felt resonant for you.